Memo No. DS(Exam)/60/2016. Dated: 05th January, 2016. 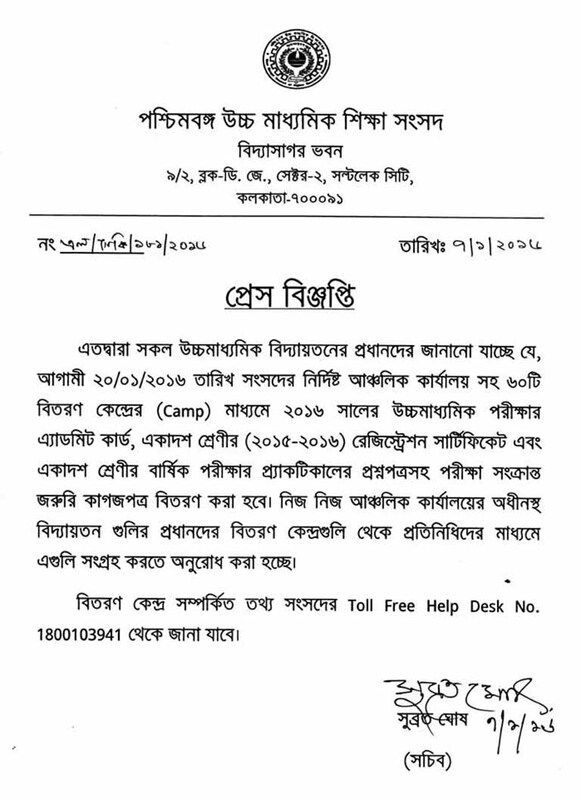 This is for information of all Heads of HS institutions that the Council has decided to organize a CAMP on 20th January, 2016 for distribution of Registration Certificate of 2015‐16 Academic session/ Admit Card for the Higher Secondary Examination, 2016/ Practical question paper for Class XI Annual Examination, 2016, and other related instructions.